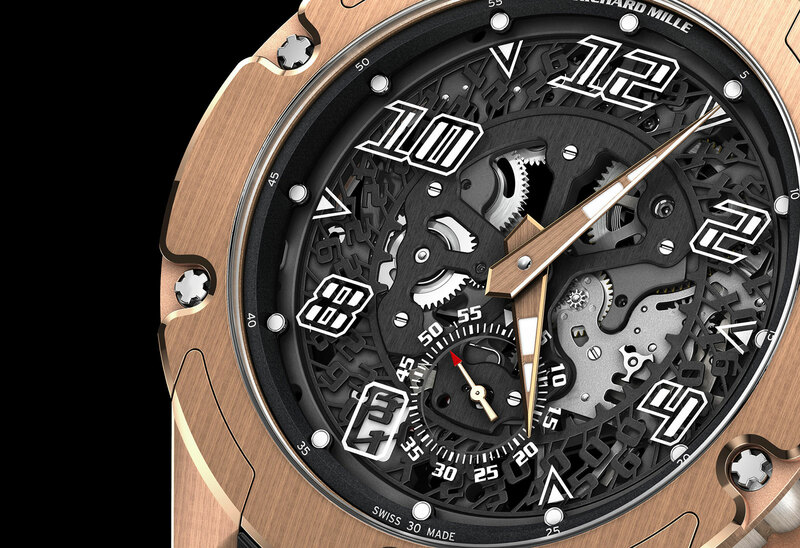 Richard Mille will unveil the RM 33-01 at SIHH 2015 in January. A facelifted version of his round, extra-thin automatic, the RM 33-01 has a slightly sportier case and dial, along with the addition of a subsidiary seconds dial. A slightly redesigned version of the original RM 33, the new RM 33-01 is still a round, slim automatic wristwatch, but with some variation. Though the case remains round, its details have changed. The lugs are more pronounced and angular, while the dial has italicised hour numerals inspired by a speedometer. The sub-seconds is at six o’clock, with the date window just beside it. Like in most other Richard Mille watches, the date is comprised of a skeletonised, black date disc against a solid background for legibility. The movement inside remains the same Vaucher sourced automatic with a micro-rotor in platinum, as well as bridges and the base plate in black coated titanium. 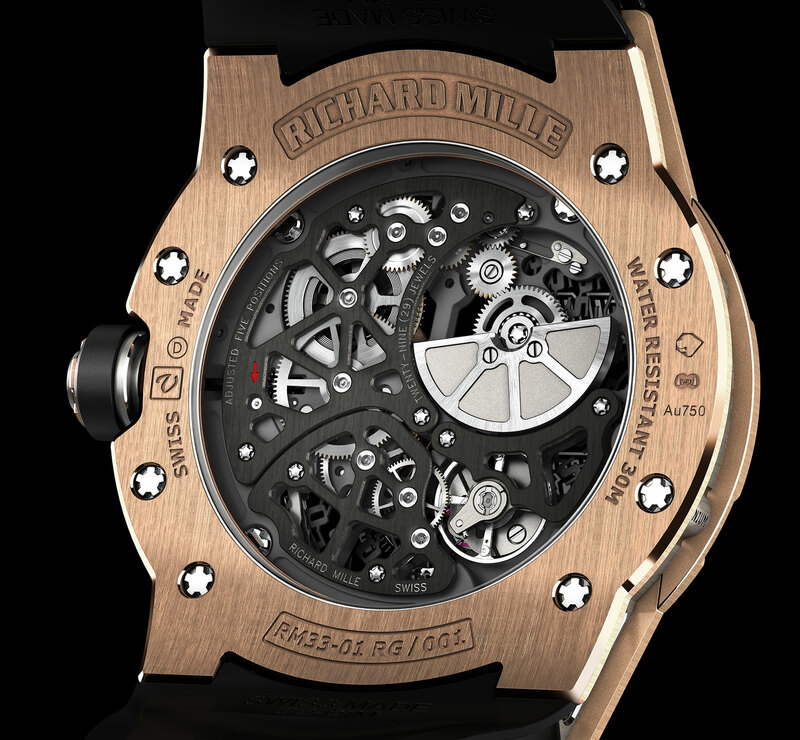 Available in rose or white gold, or titanium, the RM 33-01 has a 45.7 mm diameter case that’s a thin 9.2 mm high. The look is vintage Richard Mille, as is the price. Though it’s not been revealed, the RM 33-01 will cost in the region of US$80,000 to US$100,000, just like its predecessor. With a case made entirely of pink sapphire, the RM 07-02 Pink Lady Sapphire is one of the most exotic ladies' watches from Richard Mille to date. 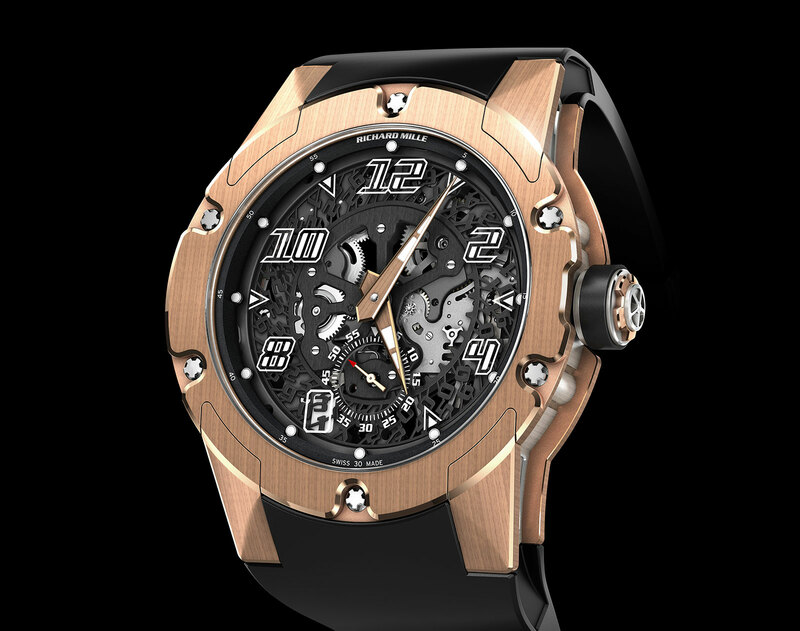 Slated to make its official debut at SIHH 2016, here's a preview with specs and pricing.